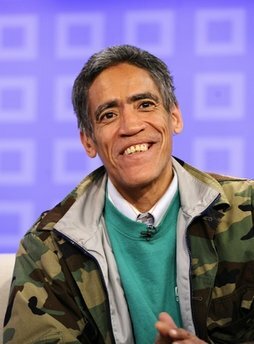 In recent days, Ted Williams as become an overnight sensation as he gained recognition as the “man with the golden voice”, after being discovered while panhandling on the streets of Columbus, Ohio. If you’ve been under a rock and haven’t heard this man’s voice, check out the video here. After over a decade of homelessness, drug and alcohol addiction, and a few run-ins with he law, Williams has several job offers, sealed a deal as the new voice of Kraft Macaroni and Cheese, and countless other opportunities to return to a normal life. God is a redeemer. He cares not about our past mistakes or faulty history. He is the one who can take a man like Ted Williams and change his life for the better. The desire to chase after and have a heart for God ignites God’s desire to chase after us. I am crazy enough to believe, however, that William’s experience wasn’t for him. While he reaps the benefit of his newfound lifestyle, God didn’t redeem him on national television for him. He did it for you. For us. For the entire world to see a live manifestation of God’s ability, power, and compassion. Every time Williams is on television, he has thanked God, said that it was Jesus that saved his life; millions of people have seen his story, have heard the name of Jesus, and for those who did not believe before that God was capable to do the impossible, now believes. From Michael Vick to Ted Williams to countless others, God is showing the world through His power that He is real and desires a real connection to us. He wants to remind us that Jesus redeemed us all through His sacrifice and no matter how far away we stray from Him, He is always calling us home, bringing us back through redemption. What wonderful insight! God is working miracles in these days. Thank you for your spirital shoutout.